Rabbi Asher Lopatin will head a new Modern Orthodox shul, start a civil discourse center. Rabbi Asher Lopatin, a nationally recognized Modern Orthodox leader, plans to move to Metro Detroit this summer to create an academic center focused on civil discourse — and to lead a new Modern Orthodox synagogue. Congregation Etz Chaim was originated by a group of Huntington Woods residents who say they are responding to the growth of shomer Shabbat (Shabbat- observant) families in their neighborhood. They also say they didn’t want to miss the opportunity to secure a scholar of Lopatin’s caliber. And, some in the growing congregation already have a relationship with Lopatin, calling him their family rabbi. Lopatin is no stranger to Detroit. His wife, Rachel, is the daughter of Warren and the late Charlotte Tessler of West Bloomfield. She got to know Lopatin in Chicago, where she was program director at Conservative Anshe Emet Synagogue and he was rabbi of Modern Orthodox Anshe Shalom B’nai Israel. Both are Wexner Fellows. Lopatin, 53, who holds ordinations from the esteemed late Talmudic scholar Rabbi Ahron Soloveichik at Yeshivas Brisk in Chicago and from Yeshiva University in New York, announced his resignation at the end of this academic year as president of Yeshivat Chovevei Torah (YCT), a Modern Orthodox rabbinical school in Riverdale, N.Y., where he has served since 2013. He succeeded the yeshivah’s founder Rabbi Avi Weiss, known as a maverick who rocked the Orthodox world with his concept of Open Orthodoxy, a liberal alternative to Modern Orthodoxy that includes women’s ritual roles in the synagogue, a broad concern and inclusivity for all Jews, and a perspective of Halachah (Jewish law) that is open to innovation. During his tenure at YCT, Lopatin replaced the term Open Orthodoxy with Modern Orthodoxy to denote the school “is a full part of Modern Orthodoxy,” as quoted in an Aug. 16, 2017, New York Jewish Week story. Lopatin’s plan for a Center for Civil Discourse in Metro Detroit speaks to the importance he places on inclusivity and being nonjudgmental. Along with his rabbinic degrees, Lopatin also was a Rhodes Scholar and earned a master’s in philosophy from the University of Oxford in medieval Arab thought. “I am excited that Rachel, our four children and I will be making Michigan our home starting this summer,” Lopatin said in an email. 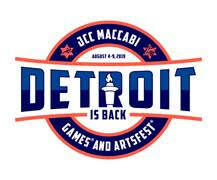 “We will join Detroit’s celebrated resurgence and its dynamic Jewish community. Many details are still to be determined, according to Etz Chaim’s statement. It is anticipated that the shul will first offer Shabbat and holiday davening. And no final decisions have been about the shul’s location. 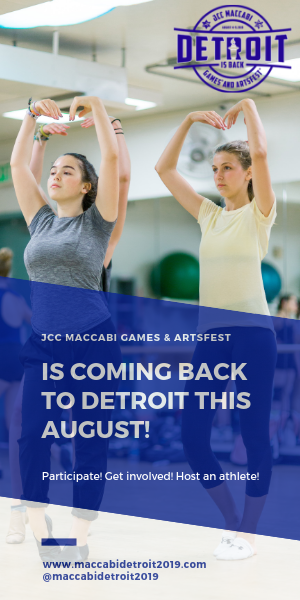 “I’m excited to be part of an initiative to contribute to Jewish life in Metro Detroit. Rabbi Asher Lopatin is a world-renowned Modern Orthodox leader. The opportunity to bring a person of his caliber here was too good to pass up,” said Nancy Kleinfeldt of Huntington Woods, a member of Etz Chaim’s originating group that includes Rebecca and Gil Feldman, Sheryl and Seth Korelitz, Rachel and Josh Opperer, Ora and Michael Singer, and Julie and Eugene Sherizen, all of Huntington Woods. At the same time, concern arose about whether Huntington Woods and the surrounding areas had enough of a Modern Orthodox population to sustain another shul. Young Israel of Oak Park and the more liberal Or Chadash, both Modern Orthodox shuls, are nearby. And an anonymous email circulated by a “concerned Detroiter” warns that Lopatin is a “firebrand” with “extreme positions” outside of Orthodoxy who will bring “drastic changes” to Detroit’s Orthodox community.